Tourism is booming beyond the major capitals of Western Europe, and you can fuel your Champagne tastes and live like the 1 percent for a song in these three deeply discounted destinations. See a sight or two in the capital cities and then make your way to the hidden treasures in outlying areas. Follow along as we circle the globe to three budget countries on three continents. If you’ve always wanted to hang with the jet set on the sun-drenched beaches of the Greek islands and Spain’s Costa del Sol or explore the canals of Venice and the Seven Hills of Rome, you can experience it all in Western Europe’s budget destination on the Iberian Peninsula. You’ll land in Lisbon, Portugal’s capital city built on the banks of the Tagus River and its seven hills. Lisbon has transformed itself into a modern city while embracing its rich history. The walking city offers breathtaking views around every corner from the tree-lined avenues to the crooked, cobblestoned alleys. You can’t help but get caught up in the food, drink, laughter and life on the streets. 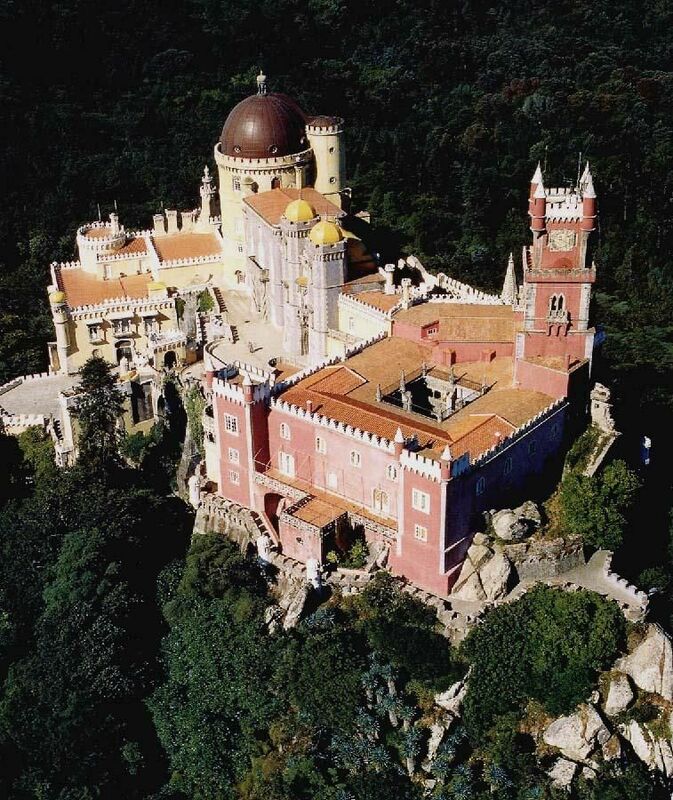 If you have time to see only one sight in the Lisbon area, make it the 19th-century Palácio Nacional da Pena, one of the Seven Wonders of Portugal. After your palace visit, it’s time to splurge on a sunset cocktail at the Park Restaurant and Bar, a hidden jewel of a rooftop garden with a splendid view of the Targus River, popular with the locals for its view and its music. authentic folk song of Portugal, raising a glass of Port, and joining the locals in the traditional folk dance. For two hours and $25, take the train north from Lisbon to the coastal town of Aviero. Known as the “Venice of Portugal,” crisscross this picture-perfect city through its canals in a gondola as you pass brightly colored buildings and azulejo panels that depict the history and culture of the area on ceramic tilework. See more of the city on a free bicycle “rental” at one of the BUGA shops. Then, hit one of the pristine beaches along the Silver Coast. Expert surfers can stop in Nazaré on the way to Aviero to navigate the world’s largest waves while mere mortals soak up the sun and watch the surfers perform the dance of their lives. 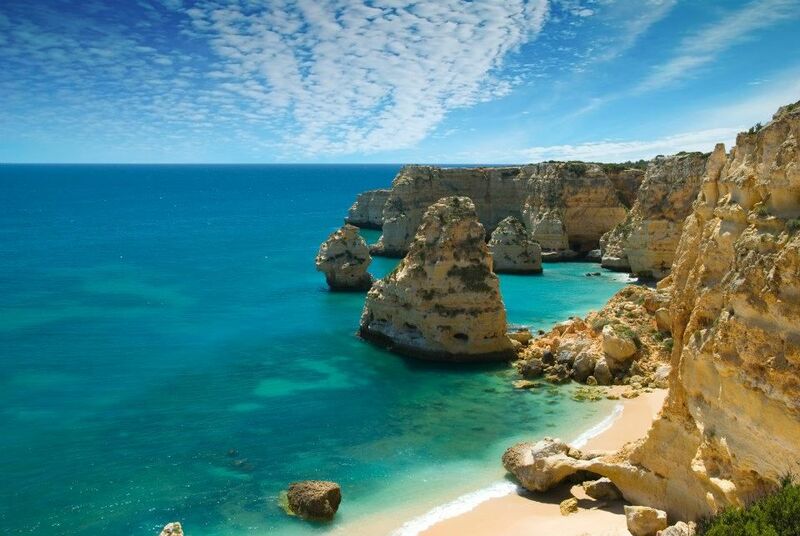 Head south along the coast from Lisbon to the Algarve region by train for a three-and-a-half hour ride (under $30). Here you‘ll find dramatic cliffs and whitewashed beaches, cobbled streets, olive and orange groves, and a full complement of water activities on the beaches. If you’d rather pass on surfing and jet skiing, you can explore bridges, castles and monuments or play a round of golf. Top off a fresh seafood dinner along the beach with some local “Firewater,” Aguardente de Medronhos, something akin to a strong fruit brandy. Be sure to ask for a side of water. Ecuador is a country of surprises. From the cosmopolitan capital of Quito to Cuenca and Vilcabamba, this is a country of endless variety and surprises. I plan to make it my home when I hit my third act—retirement. Easily accessible from Miami and Fort Lauderdale, start your visit to Ecuador in Quito, the capital city with a European flair. Stay in one of the elegant, historic hotels for under $50 a night. Start your tour of the city with a morning ride on the teleferico (sky tram) to the top of Cruz Loma where panoramic views of the city, the snowcapped mountains and Pinchincha volcano await you. Back in Quito, explore the colonial architecture, Plaza Grande and Monastery of San Francisco in Old Town. 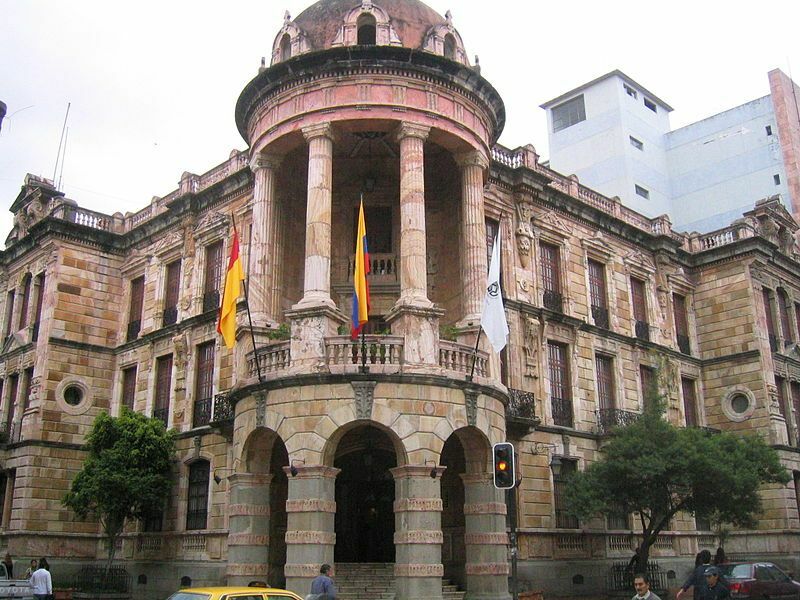 Known as the cultural capital of Ecuador, Cuenca sits high in the Andes. If you blink your eyes and click your heels, you’ll swear you’ve landed in Rome. The city is built around four rivers, and everyone in the know walks in Cuenca; to drive is to take your life in your hands. Parque Calderón, in the heart of the city, is the best place to rest and spend time people watching. Wander through the flower market before stopping at Tutto Freddo, the preferred ice cream purveyor of locals, visitors and expats. Take a carriage ride through Paradise Park in the afternoon. Coy, Ecuador’s national meat and frequent restaurant specialty, is guinea pig—it comes highly recommended. After dinner, join a street festival, catch some live music or attend a free cultural event. 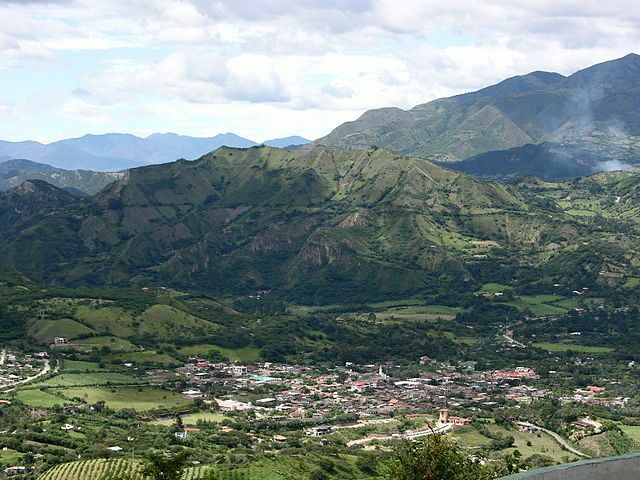 Vilcabamba, known as the Valley of Longevity, lies four hours to the south of Cuenca in the foothills of the Andes. The idyllic Izhcyluma Hostería and Spa offers doubles with private baths for under $40 a day as well as daily shuttle service to and from Cuenca for $15. Wander the lush flower gardens, take a free yoga class, hitch a ride on a horse, indulge in a spa treatment or relax around the pool—all while marveling at more panoramic views and soaking up the magical atmosphere. Even Type As can’t help but relax until they discover the free Wi-Fi access. There’s plenty to do at Izhcyluma and in the area, but don’t plan to do anything. Let your time there take on a life of its own. For a colorful vacation, turn your eyes toward the East and head to India. With the Rupee at nearly 64 to the dollar, India is on sale at half its usual budget price. Most international visitors fly into Delhi, the capital city and sprawling metropolis that encompasses New Delhi. India is a huge country, so if it’s your first trip, explore the Golden Triangle on a guided tour, which runs around $100 per day inclusive. I never (say never) recommend tours, but India is not a country you want to see on your own as a first-timer. If you have your own ideas about where you want to go, it’s easy to design a custom tour. The Golden Triangle journey begins in the chaos of Delhi as you weave through the streets touring the colonial buildings, bustling bazaars, and majestic temples and mosques. 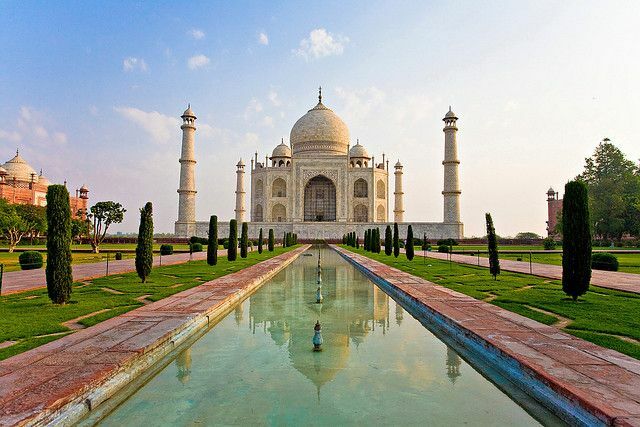 Then it’s off to Agra to the south, home of the Taj Mahal, the magnificent, white marble mausoleum that houses the favorite wife of 17th-century Mughal Emperor Shah Jahan and the 11th-century Agra Fort. 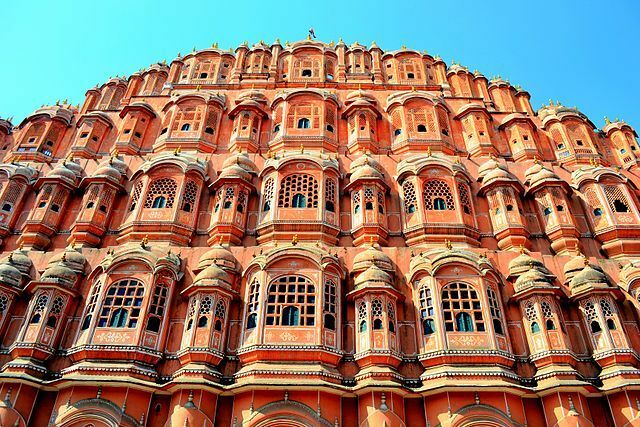 In Jaipur, you’ll visit the finest specimen of Rajput architecture, Hawa Mahald, of red and pink sandstone with its unique honeycomb structure. If you plan a few extra days in Delhi before or after your Golden Triangle adventure, book a food tour. To experience the food of India is to experience her people and culture, but don’t make the painful assumption that even experienced travelers make—that the spices in Indian food will keep you safe. 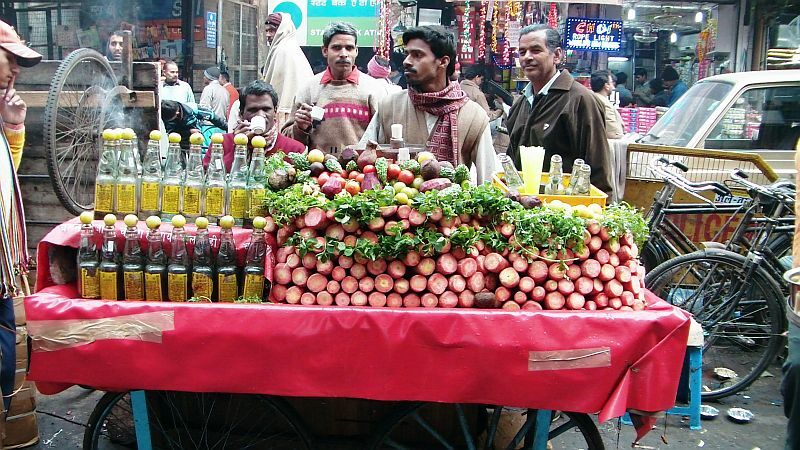 A food tour is the safest way to sample the flavors of India. The food tours have been described as an “Anthony Bourdain adventure,” with tour guides leading you by rickshaw and car while you eat your way through the city under the experienced eye of your guide. In addition to getting an intimate view of life in Delhi, your tour guide will explain where and how to eat safely for the remainder of your trip. Take the advice. This entry was posted in Travel on June 26, 2015 by admin. Colleges and universities across the country offer classes and a comprehensive curriculum just for seniors. Sometimes termed “lifelong learning” programs, with year-round classes, summer offerings are scheduled in vacation areas and cut a broad swath through subject matter. Check out possibilities offered through Senior Summer School. If you have always wanted to write, check out The Writing University through the University of Iowa. College of the Atlantic in Bar Harbor, Maine, combines academic programs with the spectacular beauty of coastal Maine for five-day to two-week workshops in writing, photography and “getting out in nature.” Programs are enlightening; participants have plenty of free time to explore; and accommodations are generally simple and affordable. in a congenial, group setting — much like spending a week in a college dorm. The Best of Acadia Retreat, offered in July, is just that — good learning and great surroundings. Total cost is less than $1,000 per person, with lectures, boating excursions, field trips, lodging and meals included. Transportation to Maine is not included. Road Scholar programs, now in their 40th year, are an outgrowth of the Elderhostel concept, allowing older travelers an opportunity to learn new things as they travel at home and abroad, at affordable rates. One of this summer and fall’s most popular trips features “Island Hopping” in Washington State, a six day trip that begins in Seattle. Group tours range in duration from a few nights to two weeks or more. They generally include travel, lodging and most meals; lectures, tours and field trips, at least one performance or museum visit; and friendly groups. Activity level can range from “very easy” to “strenuous.” If you’re a history buff, you can relive the bloodiest battle of the Civil War at Gettysburg, review strategy, walk the site and pay a visit to the Soldiers Cemetery. History will come alive as you hear music of the time played on dulcimer, harmonica and banjo, stay at a hotel in the historic town and have ample time to explore interesting shops, all in the company of fellow travelers. Smithsonian Journeys plans a diverse schedule of trips and special programs not only in the summer, but throughout the year. If you have a special interest in opera, a trip to Santa Fe may be just your ticket to summer fun. Not only will you go backstage at the world renowned outdoor opera house and hear lectures by noted authorities, but you’ll attend four performances, stay near historic Santa Fe Plaza, and drink in the beauty and culture of this high mountain, multi-cultural New Mexico capital. Combine this four-day trip in August with independent travel to nearby Indian Pueblos, tempt Lady Luck at the Cities of Gold Casino, visit the high-tech and high-mountain city of Los Alamos and experience the contrasts of the American Southwest in a totally unique way. Cruising is a perennial favorite for senior travelers, and there are numerous sailings that cater specifically to the needs of the over-55 crowd, from river barges to coastal cruising to transatlantic crossings. Although not necessarily inexpensive in terms of total cost, cruising is a bargain in terms of dollars per night, and you can book a cruise for as little as three days or for a month or longer. Remember that once on board, almost everything is included, and it all comes with superb service. Best of all, you unpack one time, and you can be as active or as sedentary as you wish. YMT Vacations specializes in adult cruises combined with rail or bus escorted add-ons. Visit Alaska “your way,” with time to spend in Seattle and Vancouver, B. C.; opt for additional days in the Alaskan “back country;” or combine your cruise with a rail trip south to California’s wine region. Combine a trip to Hawaii with a relaxing 7-night island cruise, and you will indeed have found paradise. This may be a trip to save for fall, when the the crowds are thinner and you have a chance to really drink in the beauty of this island state. Three days on Oahu with a knowledgeable tour director is a bonus. This entry was posted in Travel on June 8, 2015 by admin. Looking for something new and exciting for the kids to do this summer? 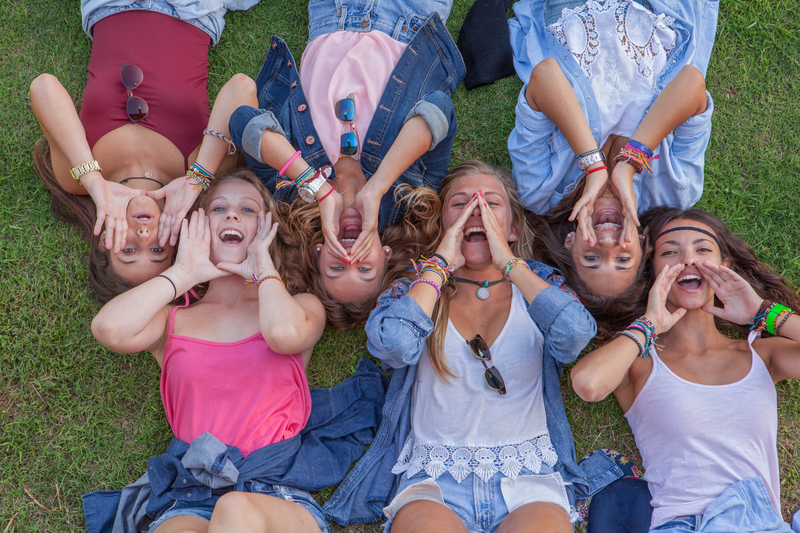 Prepare for an amazing experience this summer at one of these intensive summer camps; from thrill rides to animal encounters and even a Major League Baseball experience, these are some of the best camps in the country. 8 of the Coolest Summer Camps in (and Near) the U.S.A. Kids from age 8 -18 can learn about working in animation, from paper to screen at this delightful camp by the movie studio that started it all. Not a theme park, the Walt Disney Family Museum camp focuses on educating kids and teaching the ins and outs of animating. Depending on their age group, kids can learn to create their own short film, track the making of an animated movie from the initial sketch to the screen or learn about the artwork that goes into making an animated classic. Costs for these one week programs depend on the age group and program chosen, and range from $300 per young child to $900 for older teens. Kids from 1st to 12th grade can enjoy a diverse group of educational experiences at one of the top zoos in the world each summer. Programs focus on animal, their behaviors and habitats and instill a love of animals and learning that will last a lifetime. Topics at Zoo Camp this year include Animal Outlaws, Backstage at the Zoo and Epic Survival of the Fittest.Each camp runs for a full week and rates begin at $229 per student. Learn about engineering and the marvels of outer space at this NASA approved STEM camp at Kennedy Space Center. Kids will learn about the rockets, robots and space stations that power our knowledge of the universe and get to explore everything the center has to offer. This weeklong camp is offered each summer and designed to develop interest in engineering, math and problem solving and is for grades 2-11. Tuition for Space Camp is $295 per child per week; this rate does not include tax. Blowing things up – the right way. At this one of a kind camp experience, kids will learn all about explosions and safety. Designed with a strong STEM and safety focus, this unique Missouri S&T experience culminates in a student run fireworks display. Explosives Camp is a one of a kind program with a competitive entry process; once a student is accepted, the tuition is $1,400 per week, which includes room and board. This camp combines the best of international travel with hands on learning about sharks and sea creatures. Designed for high school students, this once in a lifetime experience focuses on sharks and includes dives and research. Broadreach offers a variety of other summer camp programs, including some for families and adults. Ready to dive with the sharks? Expect to pay about $6,400 for the 24 day experience per camper; this camp offers optional school credit if desired. This camp on wheels puts campers on board a luxury bus en route to some of the country’s best roller coaster rides. Thrill Coaster is offering two camp options this summer, each features a different itinerary and different coasters – both programs are all inclusive and include everything needed for a memorable and thrilling camp experience. Expect to pay from $1300 – $2995 per week, depending on your itinerary and how early you register; this all inclusive trip includes hotels, meals and extras, too. Summer camps at Sea World offer kids from 7th through 12th grade the chance to interact with animals, learn about veterinary care and animal careers. These unique camps help kids develop a love of learning and cultivate an interest in zoo keeping and animal care as a career. While this camp is in Orlando, SeaWorld offers a similar program at each of its locations. Prices for residential SeaWorld camp begin at $1.200 per camper; register early to be sure to secure a place in this popular camp. This major league team sponsored camp features an array of exciting baseball themed activities for kids of all ages; you don’t have to be a great player to attend, just have a love for the game. Each session features behind the scenes tours, field trips and even a kid’s sized uniform to wear each day. The camp focuses on teamwork and the essentials of sportsman (or –woman)ship and the love of baseball. Expect to pay $559 per camper for the Red Sox experience; there are several weeks and packages to choose from. This entry was posted in Travel on May 22, 2015 by admin. Today’s seniors have given the brushoff to “the home.” They’re too busy packing their bags for a vacation. 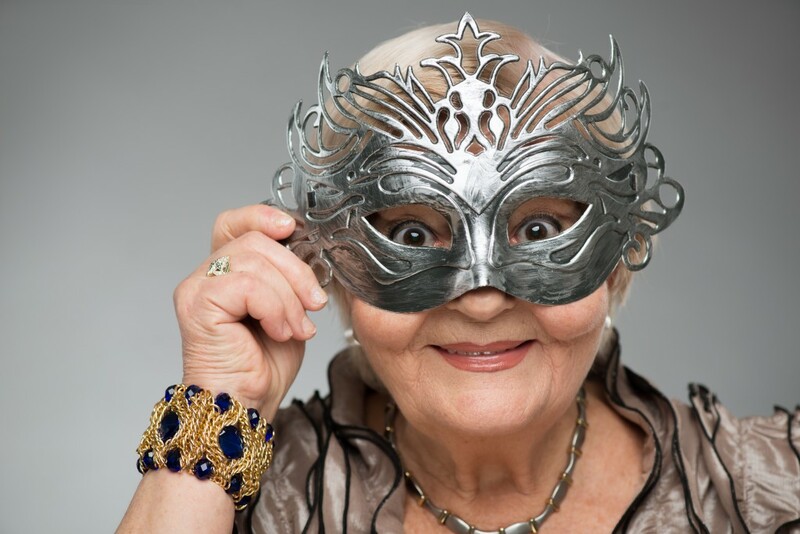 According to The LA Times, many seniors place more importance on travel than leaving an inheritance to their children. (Say it ain’t so!) 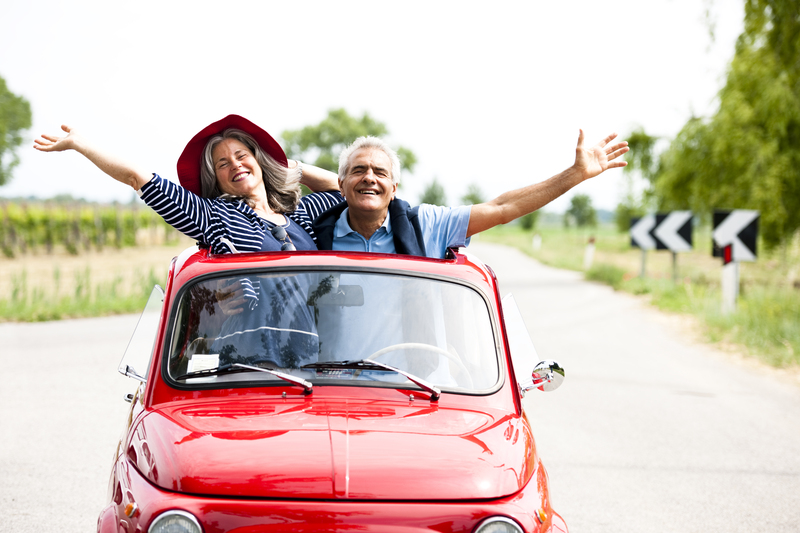 According to an AARP study, Baby Boomers will take 4–5 trips in 2015, so let’s look at some fun vacation ideas for seniors. If you’ve taken a cruise, you likely loved it or hated it, but have you taken a cruise to Alaska or cruised down a river? These aren’t your typical sun ‘n’ fun cruises. A cruise to Alaska brings the natural beauty of the wilderness close enough to reach out and touch. In the United States, passengers can meander down the Mississippi, Hudson and Snake Rivers. With smaller ships, you can easily strike up friendships with fellow cruisers. Can you think of a better way to catch the kaleidoscope of changing leaves as summer turns to autumn while making new friends? If you’re a Downton Abbey fan, you’ve seen the breathtaking views in the sponsored European Viking River Cruises segments at the end of each episode. I have friends who wouldn’t dream of taking a cruise on another ocean liner once they had their first taste of a river cruise—which has become an annual affair for them. They love visiting different European capitals without the hassle of arranging transportation and changing hotels every few days. They say it’s the best way to see Eastern Europe and that the scenery is the best they’ve ever seen—much of it while nursing cocktails on their private balcony. Are you a solo traveler who happens to be a great dancer? Because women statistically outlive men, the cruise lines need dance partners for their single women. If you’re over 40, sociable and a Fred Astaire-in-waiting, you’re ripe for the picking; the cruise lines need you. In exchange for dancing the night away and mingling by day, you can earn a free or nearly free cruise and sail away to exotic ports of call on the cruise line’s dime. While “gentlemen dancers” have been a mainstay of the cruise line’s social scene, Crystal Cruises is just beginning to employ female dance partners on their transatlantic cruises. Want to learn one of the secrets to unlocking the mysteries of foreign lands? Food is the window into the soul of a culture. In societies that shun fast foods, shop daily and prepare food for family meals, their lives revolve around food. You can learn how to reproduce some of your destination’s classic dishes when you book a domestic or international cooking vacation. Visit US News, USA Today and CookingVacations.com to see some of the many options for bringing home the ultimate souvenir—one that lasts a lifetime—the ability to show off classic dishes from tapas to spring rolls to your family, neighbors and friends. Maybe you weren’t a Rhodes scholar, but you can be a Roads Scholar. At this stage, who’s going to ask for your transcripts? RoadScholar offers a huge selection of educational travel opportunities for seniors across the globe, and the nonprofit offers more than 300 Enrichment Grants annually to allow lifelong learners without the means to participate in one of their learning adventures. If you’ve always wanted to learn a second language, you no longer have to settle for “menu-qualified.” Take a total immersion language vacation, and come home speaking the language—maybe not perfectly, but far better than most people could teach themselves. You’ll also learn about the culture, explore the sounds and sites, and sample the delicacies of your destination. You’ll gain the experience of living the culture rather than just popping in for a visit. Seniors are no longer content to lounge around the pool with a piña colada in one hand and a beach book in the other—with the roar or the ocean competing with the sound of the mariachi band—for a solid week. If you’re healthy and fit, you can join a safari, swim with the dolphins, kayak, parasail, or trek the Silk Road by camel. Begin your exploration by checking out these sites that cater to seniors in search of an adventure: RowAdventures, ElderTreks and ElderTrav. If you “know when to hold ’em, know when to fold ’em,” Las Vegas is calling your name. No longer exclusively the land of the “all you can buffet,” Las Vegas is “Celebrity Chef Central,” with restaurants serving up food for the eyes as well as the taste buds. You’ll see some of the best entertainment east of Southern California. Catch headliners such as Jay Leno, Rod Stewart, Celine Dion, David Copperfield, Penn and Teller, a tribute to the Bee Gees and many more. Only 300 miles from L.A., Las Vegas is easy to reach by car, bus or air—a great destination for a group of fun-loving friends. Feeling lucky but can’t get to Las Vegas? Check out this list of casinos for one near you. For more vacation and getaway ideas, look into weekend getaways and volunteer vacations. This entry was posted in Travel on May 11, 2015 by admin. Seeing the world is on most bucket lists, as is doing good. With trips that combine both vacationing and volunteering, you can achieve these goals in one fell swoop, saving money and conserving your precious time off. Whether you choose to teach English in Asia or build homes in the Caribbean, take part in disaster relief in Nepal or share your medical expertise in Africa, volunteer vacations allow you to soak up another culture while giving back to the human race. Before we get started on the nitty-gritty of how, where and when you can volunteer, it will be helpful to clear up a few misconceptions. The first is that volunteer vacations are long-term assignments. In reality, however, they usually only last a few weeks to a few months. The second is that you will be paid to travel. Usually that’s not the case; instead, you pay for your own ticket, and often room, board and transportation. As these are things you pay for on vacation anyway, however, most people aren’t put off by this and still choose to take the trip. Depending on your background and expertise, you will find many types of volunteer positions to suit your interests. If you are an architect, for instance, you might find Habitats for Humanity to be up your alley. With this international organization you can travel to countries as far-flung as Jordan, Malawi, Tajikistan and Paraguay, and several states. Although organizations such as Doctors Without Borders have many full-time employment positions, those looking to make a shorter stint can also volunteer with them. Don’t feel left out, nurses: you can join Nurses Without Borders. Is helping wildlife more your speed? You should check out the global sea turtle volunteering job board, with opportunities to work in coastal locations throughout the world protecting this rare species. A huge range of other opportunities exists, from teaching English to repairing park trails to farming organically in other countries. Run an online search with your interest and the words “volunteer vacation” and you’ll get some great ideas. In order to land the opportunity, simply follow the instructions for sending in your application well ahead of the deadline. Most places will tell you when you’ll here back, but if you do not you can follow up. Normally you will not need to because humanitarian and environmental organizations are often so short-staffed and happy to have volunteers that they will take you up on your offer right away. Like any vacation, you’ll need to buy your ticket as well as set up room and board. Although some volunteer organizations offer food and lodging, few pay for your ticket too, but you can find budget tickets on sites like Expedia or Kayak. Some opportunities, such as World Wide Opportunities on Organic Farms, do pay for your room and board in exchange for work. Others, like Conservation Volunteers, can set you up with a weeklong stay for a minimal fee (around $100). Do your research to see who will compensate you for your volunteer work. If you are interested in a more local volunteer experience, you can always try Workaway, a site that sets up host families with volunteers who work for that family for a few hours each day. This is a great way to see more of the place you’re visiting, because you have much more free time. Well before you plan to leave, order your passport and ensure all your information is correct. Buy traveler’s insurance and alert your bank that you will be traveling abroad so they will not shut down your credit cards. Although the list of countries in which you can vacation and volunteer is numerous, the majority of opportunities are in underserved countries along the equator, in South America, Asia and Africa. You can travel to several parts of Europe and North America as well, however, and many options also exist in New Zealand and Australia. When combining vacationing and volunteering, it’s important to still have some fun! 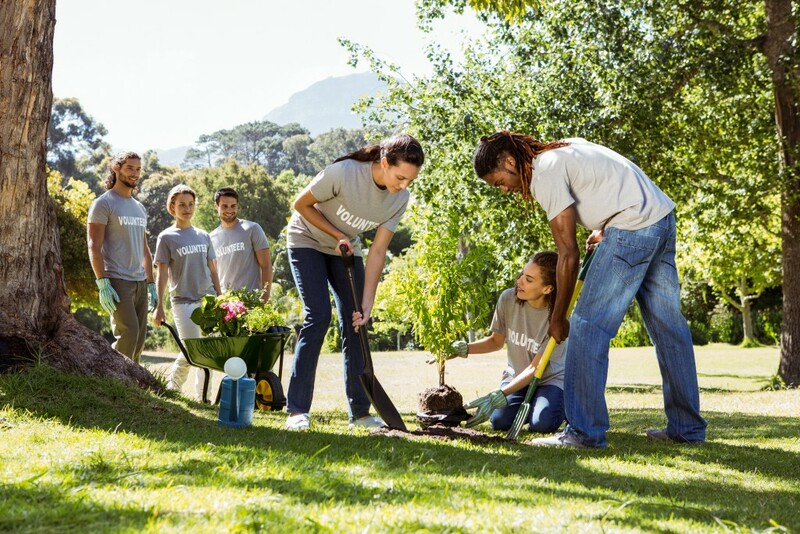 You can either set time aside for pure vacationing before or after you volunteer, or you can choose a volunteer opportunity that leaves you enough time during the day to see the sights. Whichever way you do it, have a blast and enjoy doing good in the world! This entry was posted in Travel on May 8, 2015 by admin.